The focus of this board is to have a place to bring to the attention of it's members any purported abuse of our fellow Countrymen as they attempt to exercise their natural birthrights as guaranteed by the Constitution. Once brought to light these abuses can be further investigated and if they are found factual we MUST act in any way we are capable. Be it food, shelter, protection, money or whatever else is required to ensure that aid is given where and when needed so that Patriots, like all of us on this board and others, can, in fact, continue to enjoy Life, Liberty, and the Pursuit of Happiness. And in so doing, preserve it for ourselves and our fellow Countrymen. The Citizens' Constitutional Command Center-USA is organized and established as the Official Office of the United States Constitution and its People, as their Steward and Guardian, to ensure the future safety and security of American citizens in all states of the nation from ALL enemies, domestic or foreign. Provides public access to information without censorship. Group volunteer leaders and John Birch Society staff to share ideas and projects to help carry out the monthly bulletin agenda. This list is intended for members of; or individuals who are interested in pursuing the action agenda of the John Birch Society. This video begins with Obama's Celebration of Muslim Ramadan Holiday at Whitehouse. (If you find WATCHING Obama's Celebration of Ramadan to be as boring as I did just move ahead to 7:26). Then you will see Obama preaching for Islam, teaching the Koran, admitting that he is a Muslim, and much more. Obama said, at the White House Ramadan meal: "Muslim Americans and their good works have helped to build our nation, and we've seen the results". Where can we find Obama's praise of Jewish or Christian Americans for helping to build this nation? In remarks before the Iftar dinner, eaten by Muslims after sunset to end the day of fasting, Obama quoted from the Koran "As the Koran teaches, whoever does an atom's weight of good will see its results." "Muslim Americans and their good works have helped to build our nation, and we've seen the results," he added. He mentioned how far some Muslims traveled to celebrate Ramadan at the Whitehouse. He did not mention how many were already in the White House, because they work in the Obama administration. Eboo Patel, a member of President Obama's Advisory Council on Faith-Based Neighborhood Partnerships. There was a statement of support for the principle of religious liberty. There was no discussion of the fact Muslims are commanded to work for the imposition of Sharia law all over the world, or of the fact that Muslims are commanded to kill infidels- meaning anyone who is not a Muslim. The foxes are now living in the hen house. Just being Muslim might not be a problem. But we have to wonder about arming Al-Qaeda in Syria, while trying to disarm Americans. We have to wonder about giving F-16's to Muslim Brotherhood dictators in Egypt. We have to wonder about diverting billions in oil revenues to Muslims by blocking Keystone. We have to wonder if that had anything to do with what happened in Benghazi. We have to wonder if that had anything to do with what happened to Seal team 6. We have become a police state. No part of Bill of Rights still HONORED. Google NDAA & Indefinite Detention. Guns are being outlawed. Searches without warrants, checkpoints, wiretaps, GOVERNMENT surveillance of financial records, medical records, emails, internet ETC. Cameras are everywhere. Confiscatory taxation, civil forfeiture. Feds just bought 2.2 Billion rounds of HOLLOW POINT AMMO & 30000 Predator drones. Sen. Rand Paul gave the US Senate a 13 hour lesson on the Bill of Rights. Other Senators voiced their support of his assertion that it would be illegal for the President to order the death of any American without due process; which means a trial by a jury. We would have thought it would have been a simple thing to get Obama to promise that he would not kill Americans. In the end Brennan was confirmed. He was not sworn in with his hand on the Bible; nor the Koran. He was sworn in with his hand on a copy of the Constitution that did not include the Bill of Rights. Do You Think That America is Not a Police State Yet? 3. Foreign Troops are currently training for action inside of the United States, along with our own military. 5. This plan is decades old. Here is a video of undercover FBI agent Larry Grathwohl telling how he sat in on the meeting discussing liquidation (Internment Resettlement) of Americans in "re-education camps". This ammo is illegal to use in the military because it violates the conventions. It's only use is domestic use, against the American people. The Dept. of Homeland Security has no function in foreign wars. That is why they call it Homeland Security. 11. Property rights are being abolished in scores of different ways. Go to jail for a messy yard? 12. People are being arrested without a warrant, without a charge, and allowed no lawyer. his is even done admittedly in retaliation for free speech. Ask those who lived in Nazi Germany how they could let the holocaust happen, and they usually claim that they did not know. The fact is: there is nothing that would have ever caused them to know, because they did not want to know. If they had toured Auschwitz, and helped load bodies into the crematorium they would STILL not know. Like being told that you have a fatal disease, DENIAL is the usual first response to news that is too horrible to consider. It looks as though there are some people who will still be claiming that there are no concentration camps after they are IN ONE OF THEM. DO YOU WISH THAT THE GOVERNMENT WOULD READ THE CONSTITUTION? JUST EMAIL IT PRIVATELY TO A FRIEND. They are taking away the 4th Amendment & you might be quiet because you are not dealing drugs. They are taking away the 5th Amendment & you might be quiet because you are innocent. They are taking away the 2nd Amendment & you might be quiet because you do not own any guns. They are taking away the 1st Amendment & if you continue to be quiet you will have no choice but to be continue to be quiet. DID YOU LOSE YOUR PHONE? DID YOU NOT HAVE A BACKUP? CALL THE NSA. THEY HAVE ALL OF YOUR DATA. Please visit the ultimate resource for defending liberty. If you get a message that says "address is not valid" then copy and paste the address into the address bar. Are you looking for a book about defending liberty? Many rare and out of print books are still available. If you get a message that says "address is not valid"
then copy and paste the address into the address bar. REAL EYE OPENERS. DOWN LOAD THEM NOW BEFORE THEY DISAPPEAR. Invisible Empire - full version NWO video An absolutely amazing expose' of the power brokers of the world: No criminal tyrant left behind. Understand your choice and your duty. IT ALL BECOMES CLEAR HERE. Ron Paul 2012 - Can you Hear us Now? reply to this message with the word remove or unsubscribe in the subject line. reply to this message with the word add in the subject line. George Zimmerman Saved Four People's Lives Since He got Out of Jail. "I have a dream that my four little children will one day live in a nation where they will not be judged by the color of their skin but by the content of their character." Martin Luther King Jr.
We now understand something about the content of the character of George Zimmerman. But will he still be judged by the color of his skin? Due to numerous death threats Zimmerman was expected to keep a low profile after his acquittal, but circumstances have not allowed that. George Zimmerman was one of the first people to come upon a truck crash where four people were trapped inside of their Ford Explorer SUV, which had rolled over after leaving the highway in Sanford, Fla. He promptly rescued Dana and Mark Gerstle and their two children. The Seminole County Sheriff's Office statement said that the crash occurred at approximately 5:45 p.m. Thursday (07-18-13). This crash was at the intersection of I-4 and route Route 46, which is less than a mile from where Trayvon Martin attacked George Zimmerman, resulting in his own death. By the time police arrived, Zimmerman and another man, had already saved the family, and gotten them out of the overturned car, according to the sheriff's office. No one was injured. Anyone who is familiar with the threats that have been made on Zimmerman's life will understand that he saved this family at the risk of his own life. WE WONDER IF THERE WILL BE AS MUCH MEDIA ATTENTION TO THIS HEROIC ACT AS THERE WAS TO THE FALSE ACCUSATIONS THAT HAVE NOW BEEN JUSTLY LITIGATED. Trayvon Martin's supporters are showing what they believe about justice, and how they oppose Racism: White people, accused of no crime whatsoever, are being beaten up simply because of the color of their skin, and they are being told that this was being done "for Trayvon". In our Constitutional Republic "justice" is defined as a trial by a jury of your peers. Those who saw all of the evidence have voted unanimously that Zimmerman was not guilty. The part of our constitution which prohibits "Double Jeopardy" was written for this specific type of situation. Those who are still "beating this dead horse" do not want justice. What they want is a LYNCH MOB that acts in DEFIANCE of justice. Those who actually DO want justice are equally concerned about justice for George Zimmerman. Now that all of the evidence has been reviewed, it is already clear that an injustice was done to Zimmerman. He should have never had to stand trial. The Court subjected him to this injustice simply to satisfy the demands of a LYNCH MOB acting in DEFIANCE of justice. I am reminded of a line in an old western: "We are going to give him a fair trial, and then we are going to hang him." There is an old adage about "putting the shoe on the other foot." Just change the color of everyone's skin and see if you still take the same positions. Would you have the same position if Zimmerman was Black and Martin was White? Better yet, just put YOURSELF in someone else's shoes. Imagine that YOU are the one who is lawfully carrying a firearm, and that someone is banging YOUR head on the sidewalk, and saying that he was going to kill YOU. Exactly what would YOU do? Would you be concerned about race? A Brown man shoots a Black man and Black people get mad at White people and White people defend the Brown man and get mad at Black people for being mad at White people for what a Brown man did to a Black man. Makes perfect sense, Right? A man jogging alongside a Mississippi highway was abducted and beaten by three African-American men allegedly in retaliation of the George Zimmerman verdict, police told Fox News. Senatobia Police Chief Steve Holt told Fox News the victim, who is white, was jogging Sunday night along Highway 51 when the suspects pulled over and ordered him to get inside their car. You won't recognize me, My name was Antonio West and I was the 13-month old child who was shot at point blank range by two black teens who were attempting to rob my mother, who was also shot. A Grand Jury of my Mommy's peers from Brunswick, GA., determined the teens who murdered me will not face the death penalty. Too bad I was given a death sentence for being innocent and defenseless. I am one of the youngest murder victims in our great Nation's history, but the media doesn't care to cover the story of my tragic demise, President Obama has no children who could possibly look like me, so he doesn't care and the media doesn't care because my story is not interesting enough to bring them ratings so they can sell commercial time slots. There is not a white equivalent of Al Sharpton Or Jesse Jackson, because if there was, he would be declared racist. So there is no one rushing to Brunswick GA to demand justice for me. There is no White Panther party to put a bounty on the lives of those who murdered me. I have no voice, I have no representation, and unlike those who shot me in the face, while I sat innocently in my stroller - I no longer have my life. The Law by Frederic Bastiat. The simplest (and yet the most complete) explanation of the proper function of government that has ever been written. Obama said that if he had a son he would look like Trayvon. Do you see the likeness below? An American citizen was arrested by police for filming the military training for martial law & urban assaults in Charlotte, NC. He was released after the police had to admit that they could not charge someone with "trespassing" on publicly property. This area is open to the public & there was no legal way to deny a member of the public the right to use it. This is no different than trying to say that Black people cannot use a public park. Public property cannot be given to any privileged person or group, even for one day. Notice the subterfuge that was used with the term "city owned" as if that is something different than PUBLIC PROPERTY. People have won large settlements from municipalities because they told that they must leave public property. The most common cases have involved homeless people being thrown out of parks or libraries. The cover shows an ATF agent, in camouflage, and carrying an assault rifle. He is wearing sun glasses, and has a piece of tape over his badge number. Keep in mind that all of these public servants swore an OATH to support and defend the CONSTITUTION of the United States. Thomas Jefferson said "The price of freedom is eternal vigilance." "The battle for liberty is never won & is never lost. The battle for liberty always continues. It is never too late & it is never soon enough, to defend freedom. No matter how enslaved we are, we always have hope. No matter how free we are we are never safe. NOTHING EVER LIMITS THE GOVERNMENT, EXCEPT THE PEOPLE. Any generation that fails to defend freedom will lose it. The next generation will have to shed blood to gain it back. Watch the rest of the videos on this channel to make this a clear. Clare Daly in Irish Parliament called Obama "war criminal" & "hypocrite of the century" after he presented himself as a champion for peace. She cited Obama's drone murders, his wars in Iraq & Afghanistan and his involvement in the Syrian destabilization. She mentioned that her criticisms of Obama were in common with the American people. This American AGREES. We learn more here than we learn from the American media. Her comments were quite similar to many of the things that were said by Sen. Rand Paul when he gave Obama and the US Senate a 13 hour lesson on the Bill of Rights. America has become a police state. No part of Bill of Rights still HONORED. Google NDAA & Indefinite Detention. Guns are being outlawed. Searches without warrants, checkpoints, wiretaps, GOVERNMENT surveillance of financial records, medical records, emails, internet ETC. Cameras are everywhere. Confiscatory taxation, civil forfeiture. Feds just bought 2.2 Billion rounds of HOLLOW POINT AMMO (illegal to use in wars). Feds just bought 30000 Predator drones for domestic use. What we have allowed to happen to others will now happen to us. "The battle for liberty is never won, and is never lost. It is never too late, and it is never soon enough, to defend freedom. The billboard, is posted in Cherokee County, on Bells Ferry Road near Woodstock. It reads: "South Carolina Welcomes the Undocumented! Sen. Lindsey Graham says his state has a labor shortage and wants more immigrants." The advertisement goes on to tell job seekers: "For job tips, call his office (number provided) located in Pendleton, S.C., only two hours from Atlanta!" The billboard displays a link to a Patch article about Graham discussing immigration reform at a South Carolina Rotary Club meeting in February. Watch Lindsey Graham: "Shut Up. You Don't Get a Lawyer!" Lindsey Graham speaks proudly about his abandonment of the Bill of Rights. In addition to denying the right to an attorney, Lindsey Graham is also openly advocates abolition of the right to a trial by jury, the right to be considered innocent until proven guilty, & the right to remain silent. All these rights are to be swept away by simply making accusations that need not be judged by any jury. He has also, at other times, advocated the suspension of Habeous Corpus. Notice how many people cheered the destruction of freedom. Take advantage of the fact that you have a modicum of attention. let's go over a few things to make your celebration a success. Most importantly: You must keep all of your thoughts, and words, about defending freedom, and American Independence, IN THE PAST. Just wave that plastic American flag made by political slaves in Communist China. You don't want to seem un-American do you? You must not talk about the fact that we are LOSING our American Independence TODAY to sovereignty destroying international forces like the United Nations, the World Trade Organization, and the creation of regional government through "trade treaties". For more information, do a Google search using keywords like "FTAA", "CAFTA" , OR "NAFTA". The "no refusal" checkpoints consist of the government holding you down, forcibly drawing your blood, and storing your DNA in their database, all without your consent. Do not claim that freedom of speech gives you the right to wear a Tee-shirt that the government doesn't like. Tidy up you house before you leave in case it is searched while you are out. You used to have the right to freedom from search unless a search warrant is issued. Now the police can come into your home, and take whatever they want, and not even tell you until later, if they tell you at all. They don't even have to knock on the door before they barge in. Don't use any illegal fireworks in your 4th Celebration. It is for your own safety. And the founding father's implemented a government to protect you from yourselves. Didn't they? Besides, fireworks are explosive devices and you might be considered a terrorist with weapons of mass destruction. And although the government did not find any in Iraq, you can rest assured they will find them in your car trunk. But don't worry, getting arrested, imprisoned indefinitely without formal charges, and a 5 year wait before the secret tribunal trial per the Patriot Act is a breeze. It's that secret summary execution that should make you nervous. Make sure you are buckled up in your seat belts, there will be roadblocks and checkpoints to make sure you comply. It is for the children. Make sure that your papers are in order. If you are an airline employee, lighten up for the holiday, you can always look for a job tomorrow. Maybe you could transfer over to a TSA Security Screener job. Big demand for those jobs and you don't have to be smart. This is an ideal job for pedophiles, and other perverts who want to spend the entire day groping people. You probably have a raise coming from the Iraqi contract windfall. If celebrating on any public property, make no mention of religious ideals. to see if "your home" is properly zoned for church activities. ALSO be careful not to violate any ordinances against "group assembly" regardless of your constitutional right to "peaceably assemble". Do not put up any patriotic signs in front of "your home"
to see if "your home" is properly zoned for billboards. The term "your home" is used to refer; not only to homes that are rented on a monthly basis, from another subject; but also to homes that are rented on a yearly basis, directly from the government agent, in the property tax division of your county. If you make any improvements, in preparation for your fully government authorized gathering, make sure that you get permission from the owner of "your home". The correct government agent, to grant this permission, will be in the "building permits" section. you might be in violation of the Patriot Act and considered a possible terrorist. or you could be held in contempt. receive approved psychological therapy, and are deemed acceptable. Show compassion this Independence Day by bringing an illegal immigrant to your celebration, or by hugging a tree. If an election is occurring in your locality within the next 90 days, do not talk about or publicly support any candidate, as that is no longer lawful. Keep your mouth shut. If an officer asks to search your vehicle at the "seat belt" checks, do not demand a search warrant. Standing up for your fourth amendment rights is anti-social and not in tune with the new American way. Are you with Al Quada or something? Do not get upset when the searching officer will not help you pick up your belongings that he has strewn all over the highway as he searched your vehicle. It is not in his job description and complaining will get you charged with obstructing justice. Keep your guns at home. what on earth do guns have to do with American Independence? Better yet, turn your guns into the authorities to let them know that you are a true patriotic American. but that will soon be gone if the United Nations passes their measure making carrying a gun illegal. Better yet, just STAY at home. just because you are at home. he will probably be flashing a badge at you. This makes him look like a constitutional law enforcement officer. He may even be armed. and then tell him to leave if he does not have one. They will put a siege around your house. or even set your house on fire. For more information, do a Google search using keywords like "Symbionese Liberation Army", "Philadelphia MOVE group", "Gordon Kahl", "The Order", "Robert Matthews", "Covenant of the Sword and Arm of the Lord", "Randy Weaver" , "Branch Davidian", "Waco" or "Elian Gonzalez". understand that the average congressman is ALSO afraid to resist. For more information, do a Google search using keywords like "George Hanson" , "James Trafficant" or "Larry McDonald". Besides, they ALSO do not want to be audited by the IRS for having unauthorized thoughts. You used to have the right to privacy. Now they have cameras everywhere watching you. watched by federal security forces. Don't do anything that you wouldn't want them to see. there will be many taxes, fines, and fees to pay as you celebrate your freedoms this day. social security card, birth certificate, welfare card, Medicare card, medical records, W-2 Form, and two others forms of ID. You may be asked for them at the police checkpoints. But soon the government will save you all of this trouble when they require you to get micro-chipped, and avoid the hassle of carrying around your papers. Do not put any "anti-government" bumper stickers on your car. Especially not anything about the right to keep and bear arms. Police have been trained by the FBI in "bumper sticker profiling". This attracts their attention at the check points, and makes you look like a terrorist. What every citizen should know. What every cop should believe. "To serve and protect" - This time-honored mission statement of American law enforcement is steadily giving way in police departments all across the nation to an ethos of intimidation, military-style siege, and disdain for citizens' rights. Richard Mack - the man who as sheriff of a rural Arizona county fought the Brady Bill gun-control law all the way to the Supreme Court and won - gives us an insider's glimpse into the pervasive forces that are relentlessly driving America towards a police state. In almost confessional style, he recounts how he came to realize, while working as a beat cop, how wrong the all-too-common orientation of police officers is when they think of their job as being "to write tickets and arrest people." Richard Mack tells of his personal transformation from "by-the-numbers" cop to constitution-conscious defender of citizens' rights and freedoms. This book is a wake-up call for all law-enforcement officers. It is a must-read for every man and woman wearing a badge. If you have a friend or relative in law enforcement, make sure you get a copy into their hands. You'll be shocked to learn just how far American law enforcement has strayed from its mission. ALSO, be careful not to have any unauthorized THOUGHTS. There are now serious penalties for "thought crime". Be aware that "civil forfeiture" laws make it possible to take anything that you own, by alleging that it was "intended" to be used for the commission of a crime. This could include transporting, or storing, a gun. to show that your thoughts were in compliance with government standards. Get to know some politicians, and bureaucrats, so that you might be able to head off the taking of your private property to be given to private developers for the "public good". do not give the airport screeners a hard time. They are feeling you up, and molesting your daughter, and wife, for the security of America. If you complain you could be arrested. You don't support terrorism do you? Keep an eye on your fellow Americans as you celebrate this 4th of July. If you see anything suspicious, take notes so that when you get home you can call and report them to the Homeland Security Office. And remember you are not a nosey snitch, you are a great American Patriot. For your convenience, your government has a "Suspicious Activity Report" that you can submit for putting your friends on the ever expanding terrorist watch list. Do not mention the signers of the Declaration of Independence this 4th of July. Mentioning these white subversive terrorists is not popular and could get you in big trouble. Do not take a copy of the Declaration of Independence with you as it advocates the overthrow of tyrannical government. It is a terrorist document and will be confiscated at the holiday police checkpoints. Same advice for the Constitution. And remember, as you leave home for your 4th of July outing, that the second you stepped out of your door that you probably broke hundreds of federal, state, and local laws that you are probably unaware of. However, if you bow low enough, you might not be charged. and to be told what you have done wrong, and appointed council. and be placed in jail with no trial, and no lawyer, for as long as they want. Don't even think about taxes on this great day. 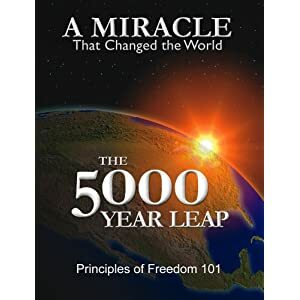 The 50 per cent government confiscation of your income at the threat of imprisonment or at the point of a gun should not even cross your mind as you revel in your freedom. After all, April 15th is a long way off. With a little effort, maybe we can get our taxes down to one fourth of our income; like the amount that the feudal serfs paid to their masters. And whatever you do, do not let on that you really know that true freedom died a long time ago in America, just have fun for the day and then go home and stick your head back in the sand and pretend America is not becoming a fascist police state. study up on "administrative law". in hundreds of "administrative agencies". If you are charged with violating one of these "laws" you will not get a trial by a jury of your peers. You will be tried by the agency that made the "law" and made the charge against you. If you appeal this "conviction," your appeal will also be heard by the administrative agency that "convicted" you. How likely is it, that they will decide, that they were right? I hope this message gets past the Department of Home land Insecurity approved internet filter. How else can they protect us from unauthorized thought? and have a great Independence Day! This transmission will be screened prior to receipt by addressee pursuant to applicable sections of the USA PATRIOT Act. The Patriot Act is constitutionally illegal, but was signed into law takes away your rights and turns them into privileges, which the government can grant or take away at will. If you remember we were told that this would just be temporary. Now it has been made permanent. But no one protested did they? You used to have the rights to not be spied on by anyone while on the phone or the internet. You also used to have the rights to your bank records being held private. Now the government can just go through your bank record data and monitor your financial transactions without question and without even telling you. and have a great sanitized, politically correct, and government approved and authorized Independence Day! Our forefathers are loading their muskets and heading for The Green. There will be many people coming out to celebrate this July 4th when they should be out protesting the rights they have lost. We need to get those rights back. "Why should I care I have done nothing wrong." This just shows how much they value their rights! The government loves people like this. They can take away even more of your rights if you will just go along with them without speaking out. We will lose our freedom if do not it while we still have some freedom left. No trees were harmed in the sending of this message. No baby seals were harmed in the sending of this message. No whales were harmed in the sending of this message. Nuclear power was not used in the sending of this message. The sending of this message did not require testing on animals. The sending of this message did not damage the environment. Wishing everyone the best 4th of July ever. Have you ever wondered what happened to the 56 men who signed the Declaration of Independence? Five signers were captured by the British, charged as traitors, and tortured before they died. Twelve had their homes ransacked and burned. Two lost their sons serving in the Revolutionary Army; another had two sons captured. Nine of the 56 fought and died from wounds or hardships of the Revolutionary War. Twenty-four were lawyers and jurists. Eleven were merchants, nine were farmers and large plantation owners; men of means, well educated. But they signed the Declaration of Independence knowing full well that the penalty would be death if they were captured. Walton, Gwinnett, Heyward, Rutledge, and Middleton. At the battle of Yorktown, Thomas Nelson Jr, noted that the British General Cornwallis had taken over the Nelson home for his headquarters. He quietly urged General George Washington to open fire. The home was destroyed, and Nelson died bankrupt. John Hart was driven from his wife's bedside as she was dying. Their 13 children fled for their lives. His fields and his gristmill were laid to waste. For more than a year he lived in forests and caves, returning home to find his wife dead and his children vanished. A few weeks later he died from exhaustion and a broken heart. Norris and Livingston suffered similar fates. Such were the stories and sacrifices of the American Revolution. These were not wild-eyed, rabble- rousing ruffians. They were soft-spoken men of means and education. They had security, but they valued liberty more. 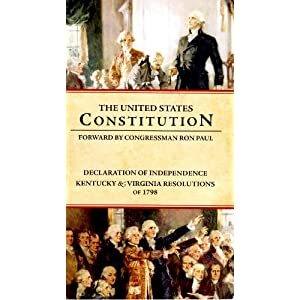 Standing tall, straight, and unwavering, they pledged: "For the support of this declaration, with firm reliance on the protection of the divine providence, we mutually pledge to each other, our lives, our fortunes, and our sacred honor." They gave us a free and independent America. The history books never told you a lot about what happened in the Revolutionary War. We didn't fight just the British. We were British subjects at that time and we fought our own government! Some of us take these liberties so much for granted, but we shouldn't. So, take a few minutes while enjoying your 4th of July holiday and silently thank these patriots. It's not much to ask for the price they paid. Remember: Freedom is never free! I hope you will show your support by please sending this to as many people as you can. It's time we get the word out that patriotism is NOT a sin, and the Fourth of July has more to it than beer, picnics, and baseball games. go home from us in peace. We ask not your counsels or your arms. Crouch down and lick the hands which feed you. May your chains set lightly upon you, and may posterity forget that you were our countrymen. Watch the rest of the videos on this channel johnperna2 to make this a clear. There is no such thing as a lawful checkpoint in the US. It is illegal for police to stop people without PROBABLE CAUSE. That means evidence of a crime. "Inspection" is a euphemism for SEARCH. It is illegal for police to SEARCH WITHOUT A WARRANT. They cannot get a WARRANT without PROBABLE CAUSE. Our ancestors shed blood & died to give us right to remain silent, right to NO unwarranted search etc. The question is whether POLICE will obey law. If POLICE have nothing to hide they will respect BILL OF RIGHTS & they will not ask for permission to violate the law. What happens if YOU ASK for permission to violate law? Allow police to violate the﻿ BILL OF RIGHTS & step onto a slippery slope. YOUR RIGHTS ARE NOTHING EXCEPT WHAT YOU WILL DEFEND. "The right of the people to be secure in their persons, houses, papers, and effects, against unreasonable searches and seizures, shall NOT be violated, and NO Warrants shall issue, but upon PROBABLE CAUSE, supported by Oath or affirmation, & particularly describing the place to be searched, and the persons or things to be seized." THE CONSTITUTION IS HIGHEST LAW. Do let them regurgitate usurpations. Tell them to back to constitution & learn about what SHOULD BE DONE. PROBABLE CAUSE IS NOT the power to search. PROBABLE﻿ CAUSE is ability to ASK A JUDGE for a search warrant. That warrant, IF GRANTED, would be power to search. Now they claim that they have created a "constitution free zone", by declaring that we have no rights, if we are within 100 miles of the border. If they get away with this, next it will be 200 miles, then 300 miles. Then they will simply abolish the constitution. IN OUR LIVES government moved from service & friendly advice, to disrespect, to thuggery, to corruption, to outright criminal conspiracy. Logical discourse is now fined. Laws are whatever a particular policeman says they are at any moment. We do still have a legislative branch of government to create the illusion of rule of law. Yesterday's play ground bully now has a badge, a gun, & a tazer. Freedom or Slavery? Understand your choice and your duty. IT ALL BECOMES CLEAR HERE. Read the article, "Calling the Tyrant's Bluff"
"The battle for freedom is never won & is never lost. The battle for freedom always continues. Question that Stops Police Bluffing- Am I being detained or am I free to go? Fighting for "More Responsibility and Less Government" for 50 years. Our goal at BreakTheMatrix is to build a social networking organization and movement that will bring freedom loving people together on the Internet. This is about the best thing that I have found in quite a while. HERE IS A WAY TO SAVE UP TO 75% ON PRESCRIPTION DRUGS JUST CLICK HERE: http://www.freerxplus.com/FRP01233/en/Home.html PRINT YOUR OWN DISCOUNT CARD FROM THIS PAGE. IF YOU GO TO THIS WEB PAGE YOU WILL NOT BE ASKED FOR ANY MONEY. THIS IS FREE! MY OWN PRESCRIPTION WENT DOWN FROM $57 TO $17 INSTANTLY. MY PHARMACY PUT THE DISCOUNT CARD INTO THEIR COMPUTER, AND TOLD ME THAT I WOULD NEVER HAVE TO SHOW IT AGAIN. I GOT EXACTLY THE SAME THING THAT I HAD BEEN GETTING BEFORE I USED THIS DISCOUNT CARD. EVEN PEOPLE WITH INSURANCE SOMETIMES FIND THAT THE PRICE GOES TO LESS THAN THEIR CO-PAY. WE WONDER WHAT YOU ACTUALLY GET FOR BUYING INSURANCE. THIS ALSO SHOWS HOW BIG THE MARK UP IS IF YOU DO NOT GET THIS DISCOUNT. WITHOUT REGARD TO THE HIGH LEVEL OF TRUST THAT I HAVE FOR THE PERSON WHO TOLD ME ABOUT THIS, I STILL DID TO TELL ANYONE ELSE ABOUT IT UNTIL IT WAS TIME TO REFILL MY OWN PRESCRIPTION. I HAD TO SEE IT WORK FOR MYSELF BEFORE I TOLD ANYONE ABOUT IT. YOU CAN SEE IT WORK FOR YOURSELF TOO.